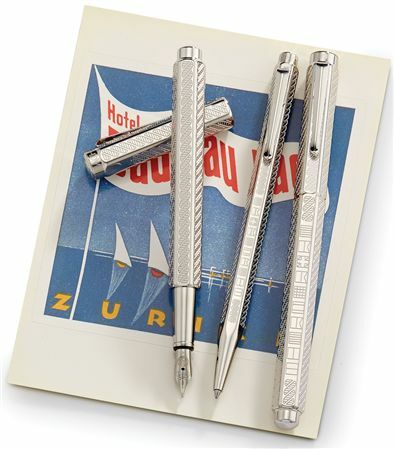 Order your Caran d'Ache Ecridor Yacht Club Rollerball Pen today from FahrneysPens.com. Fine Pens, Refills & Luxurious Gifts – great prices & fast shipping. As a tribute to the technical exploits and high speeds of sailing competitions, Caran d'Ache has launched a collection that will appeal to nautical sports enthusiasts: the Ecridor Yacht Club. 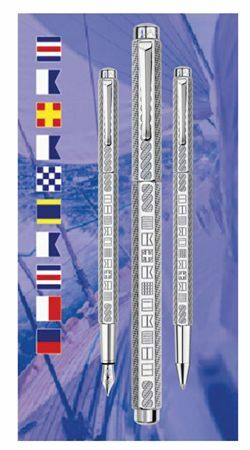 The name Caran d'Ache is engraved in ten letters of the code of international maritime signals on the front of the pen in the spirit of navigators, sharing their passion for the open sea. 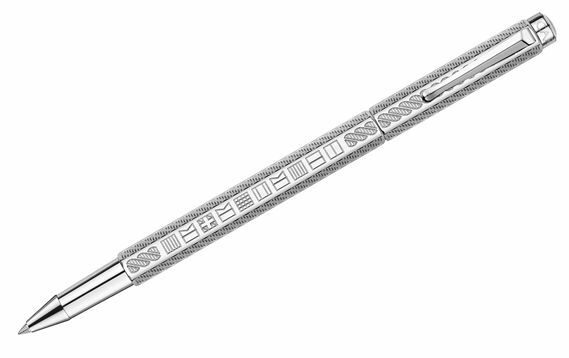 The palladium-coated hexagonal pen features a delicate guilloche 'rigging' motif. Available in fountain pen with smooth steel nib, capped rollerball, push-top ball pen and 0.7mm pencil, the Ecridor Yacht Club will be a faithful companion, hoisting the sails to take on new challenges.